A Doctor Who clothing patch makes it possible to make anything into Doctor Who gear. This patch looks like the current Doctor Who logo the letters DW that are placed in a way so that it looks like the Tardis. You can just iron this Doctor Who patch onto any piece of clothing or sew it to make it more sturdy. Just imagine the possibilities. Jackets, pants, shirts, caps and backpacks can all become part of your Doctor Who world. This Tardis patch is about 3.5 inch tall and 2.5 inch wide and will look amazing on your clothes. 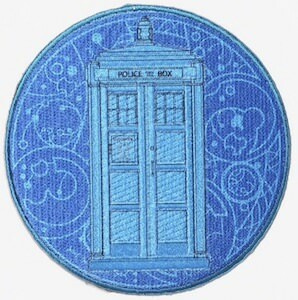 Come and have a better look at this Doctor Who Tardis Logo Clothing Patch.